Journal of Cognitive Neuropsychology aims to promote the research on human cognition based on neuropsychological methods comprising brain pathology, stimulation, brain imaging, recording, or the study of evolving deficits. The research can encompass brain-lesion or neurologically-intact adults, children or non-human animals as long as it contributes to our understanding of normal human cognitive processes. Journal of Cognitive Neuropsychology caters to cognitive scientists and neuroscientists, neuropsychologists, neurologists, psycholinguists, speech pathologists, speech therapists, physiotherapists, and psychiatrists. 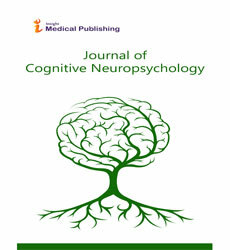 Journal of Cognitive Neuropsychology focuses on a broad spectrum of issues and challenges related to human cognition by discussing on aspects like neural data, Cognitive Neuro Psychology, Brain Injury, Cognitive Neuroscience, Neurological Illness, Aphasia, Neuro Imaging, Mental Illness, Cognitive Neuropsychiatry, Neuro Psychology, Adult NeuroPyschology, Memory Disorders, Cognitive Mental Illness, and Adolescent Psychiatry. The Journal aims to publish the most reliable and complete source of information on discoveries and current developments in the form of research articles, review articles, case reports and short communication. All articles are peer reviewed and published under the guidance of our Editorial Board members on an open access platform. The field of science that is concerned with the study of the biological processes and aspects underlying cognition, with a specific focus on the neural connections in the brain which are involved in mental processes is known as cognitive neuroscience. The branch of neuroscience and psychology, overlapping with disciplines such as physiological psychology, cognitive psychology, and neuropsychology constitutes cognitive neuroscience.The important role in this field is played by parts of brain, mostly neurons as the main point is to establish an understanding of cognition from a neural perspective, along with the different lobes of the Cerebral cortex. Methods employed in cognitive neuroscience include experimental procedures from psychophysics and cognitive psychology, functional neuroimaging, electrophysiology, cognitive genomics, and behavioral genetics and the background such as neurobiology, neurochemistry, and bioengineering also constitutes cognitive neuroscience. The injury to the brain of an organism is the brain injury and it can be categorized by many properties. Mainly there is Primary and secondary brain injuries that identify the processes involved, while focal and diffuse brain injury describe the severity and localization. The brain injuries are mainly categorized as traumatic brain injury and diffuse axonal injury. The traumatic brain injury is caused by external forces and also by the alteration of structural as well as chemical transmitter pathways or by other brain pathology, whereas the later one occurs when the brain lags behind the movement of the skull and causes the brain structures to tear. This disrupts the brain’s communication and chemical processes. The consequences after brain injuries are varied and far-reaching as the brain is the main source of bodily control. The consequence includes memory loss, behavioral and personality change, headache and pain etc. The range of symptoms of the nervous system that may be structural, biochemical or electrical abnormalities in the brain, spinal cord or other nerves results in the neurological disorder. The symptoms include paralysis, muscle weakness, poor coordination, loss of sensation, confusion, pain and altered level of consciousness. There are many neurological disorders that are very rare but few are common. They may be assessed by neurological examination, and studied and treated within the specialties of neurology and clinical neuropsychology. Interventions for neurological disorders include preventative measures, lifestyle changes, physiotherapy or other therapy, neuro-rehabilitation, pain management, medication, or operations performed by neurosurgeons. The normal causes of neurological problems vary, but can include genetic disorders, congenital abnormalities or disorders, infections, lifestyle or environmental health problems including malnutrition, and brain injury, spinal cord injury or nerve injury. Aphasia is caused due to damage in specific brain regions and is typically caused by a cerebral vascular accident or head trauma; however these are not the only possible causes. It is an inability to comprehend and formulate language. This damage is typically caused by a cerebral vascular accident, or head trauma, however these are not the only possible causes. To be diagnosed with aphasia, a person's speech or language must be significantly impaired in one of the four communication modalities such as auditory comprehension, verbal expression, reading and writing, and functional communication following acquired brain injury or have significant decline over a short time period. The people with Aphasia have diffulties ranging from finding words to losing the ability to speak, read, write, however intelligence is not affected. Expressive language and receptive language can both be affected as well. Aphasia also affects visual language such as sign language. The word aphasia implies that one or more communication modalities in the brain have been damaged and are therefore functioning incorrectly. The technique which involves the use of various other techniques directly or indirectly to image the structure, function of the nervous system is the neuroimaging. The neuroimaging falls broadly into two categories they are structural and functional imaging. The structural imaging deals with the structure of the nervous system and the functional imaging used to diagnose metabolic diseases and lesions on a finer scale. It also enables the processing of the information by centers in the brain. The technique of neuroimaging includes Computed axial tomography, Diffuse optical imaging, Event-related optical signal, Magnetic resonance imaging, Functional magnetic resonance imaging, Magneto encephalography, Positron emission tomography etc. It is a behavioral or mental pattern that may cause suffering or a poor ability to function is known as mental illness. These features may be persistent, relapsing and remitting, or occur as a single episode. The causes of mental illness are often unclear. These disorders may be diagnosed by mental health professional. It is usually defined by the combination of how a person behaves, feels, perceives or thinks. A mental illness is one aspect of mental health. While making a decision, cultural and regional beliefs as well as social norms should be considered. Psychotherapy and psychiatric medication are major treatment option for mental illness. Sometimes social interventions, peer support and self-help also contribute to the treatment of mental illness. The common mental illness includes depression, dementia and schizophrenia The likely course and outcome of mental disorders varies and is dependent on numerous factors related to the disorder itself, the individual as a whole, and the social environment. Some disorders are transient, while others may be more chronic in nature. The field of science arising out of cognitive psychology and neuropsychiatry that aims to understand mental illness and psychopathology in terms of models of normal psychological function is known as cognitive neuropsychiatry. A concern with the neural substrates of impaired cognitive mechanisms links cognitive neuropsychiatry to the basic neuroscience. It represents a systematic and theoretically driven approach to explain clinical psychopathologies in terms of deficits to normal cognitive mechanism. Neuropsychology is the field of psychology that studies the structure and function of the brain as they relate to specific psychological processes and behaviors. It aims to understand how behavior and cognition are influenced by brain functioning and is concerned with the diagnosis and treatment of behavioral and cognitive effects of neurological disorders. It seeks to discover how the brain correlates with the mind. In general it shares the concept and concerns with neuropsychiatry and with behavioral neurology. It is a new discipline within the field of psychology. The experimental neuropsychology uses methods from experimental psychology to uncover the relationship between nervous system and cognitive function. The clinical neuropsychology is the application of neuropsychological knowledge whereas cognitive neuropsychology is the combination of both the approaches and is relatively a new development of neuropsychology. International Journal of Mental Health & Psychiatry, Developmental Neuropsychology, Archives of Clinical Neuropsychology, Applied Neuropsychology, Applied Neuropsychology: Child. Memory illness ranges from mild to severe and are the result of damage to neuroanatomical structures and some kind of neurological damage that hinders the storage, retention and recollection of memories. These can be immediate illness resulting from traumatic brain injury or can be progressive like Alzheimer’s disease. Mainly there are two types of memory disorders they are declarative memory and procedural memory disorder. Some examples of memory illness or disorder are amnesia, Alzheimer’s disease, brain injury, dementia, Huntington disease etc. Although normal aging is not responsible for causing memory disorders, and sometimes it is also associated with decline in cognitive and neural systems including memory. Factors such as genetics and neural degeneration also have part in causing memory disorders. The category of a mental health disorders is the cognitive disorder that primarily affect learning, memory, perception and problem solving. It includes the disorders like amnesia, dementia and delirium. The cause of these disorders varies but most include damage to the memory portions of the brain. The treatment depends on the causes of the disorder. Therapies and medication are the most common treatments. Cognitive disorders are mental disorders that develop on the basis of cognitive mental disorder perspective. The cognitive mental disorder is the theory that psychological disorders originate from an interruption, whether short or long, in our basic cognitive functions, i.e. memory processing, perception, problem solving and language. Neuroscience is a multidisciplinary branch of biology that deals with anatomy, biochemistry, molecular biology, physiology of neurons and neural circuits. It is the scientific study of nervous system that also includes the fields of psychology, physics, engineering etc. The scientific study of the nervous system has increased significantly during the second half of the twentieth century, principally due to advances in molecular biology, electrophysiology, and computational neuroscience. This has allowed neuroscientists to study the nervous system in all its aspects The scope of neuroscience has broadened over time to include different approaches used to study the molecular, cellular, developmental, structural, functional, evolutionary, computational, psychosocial and medical aspects of the nervous system The techniques used by neuroscientists have also expanded enormously, from molecular and cellular studies of individual neurons to imaging of sensory and motor tasks in the brain. Psychotherapy is a type psychological method that helps the person to overcome problems and to change on the basis of regular personal interaction. It aims to improve an individual’s mental health and well-being by improving the relationships and social skills. Certain psychotherapies are considered evidence based for treating some diagnosed mental disorder. Thousands of psychotherapy techniques are there where some have minor variations while others are based on very different conceptions of psychology, ethics or technique. Psychotherapy may be delivered in person, one on one or in groups including families, over the phone via telephone counseling, or via the internet. Psychotherapist may be mental health professionals or may be from other backgrounds. Cognitive therapy is a type of psychotherapy that approaches within the larger group of cognitive behavioral therapies. Cognitive therapy is based on the cognitive models, which states that thoughts, feelings and behavior are all connected, and that individuals can move toward overcoming difficulties and meeting their goals by identifying and changing unhelpful or inaccurate thinking, problematic behavior, and distressing emotional responses. The basis of the therapy consists of therapy may consist of testing the assumptions which one makes and looking for new information that could help shift the assumptions in a way that leads to different emotional or behavioral reactions. The change may begin by changing behavior that conflict with the goal or by hanging the thoughts and feelings.